By James Clapp, M.D., Catherine Cram, M.S. James Clapp, M.D., Catherine Cram, M.S. Is it safe to exercise during your pregnancy? 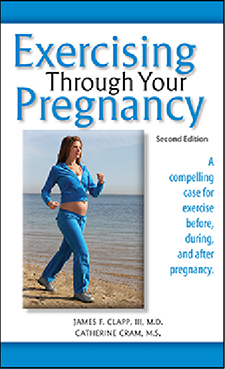 This book provides the answers you’ve been looking for—information you need to remain active and healthy before, during, and after your pregnancy. How does exercise benefit the mother? How does exercise affect growth of the fetus? Does exercise limit weight gain during pregnancy? What is the right amount of exercise? When should exercise be avoided? How late into pregnancy can you exercise? What is the effect of exercise on milk production? When can a new mother resume exercising after giving birth? James F. Clapp, III, M.D.